In this collection of essays, renowned philosopher Robert Sokolowski illustrates how Christian faith is not an alternative to reason, but rather an enhancement of it. Reflecting on the mysteries of Creation, the Holy Trinity, the Incarnation, and the Eucharist, he examines in his distinctive lucid style the ways in which Christian faith contributes to the understanding of the human person. The book is divided into four sections. 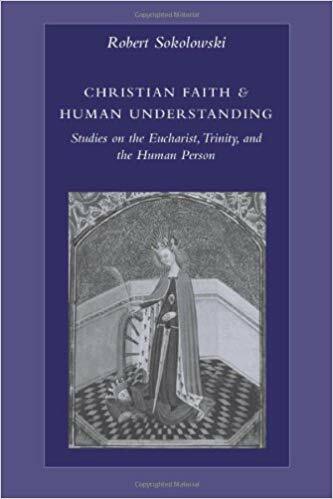 The first directly addresses the relation between faith and understanding, showing how philosophy has an autonomy within Christian theology even as it acknowledges that revelation makes known truths that could not have been reached by reason alone. It also explains how central the doctrine of Creation is to the relation between faith and reason. The rest of the book illustrates particular ways in which reason and faith interact in Christianity. The second section deals with the mysteries of the Holy Trinity, the Church, and the Eucharist. It shows that Christ is the primary minister of the Eucharist because his words are quoted in its celebration, and it offers a contemporary interpretation of the meaning of transubstantiation. This section also discusses the episcopal teaching office in the Church, and it shows how Christ’s words in the gospels, his use of the first-person pronoun, serve to manifest the Holy Trinity.